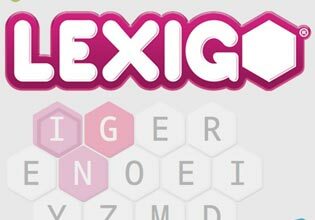 Lexigo is a fast and fun letter-tile game for word lovers on the go. Each new word you spell starts with the last letter of your previous word. Because the tiles are hexagons, answers to the five daily clues can be spelled in a twisty path, moving in six different directions and even backtracking to use letters more than once. Time yourself to add to the challenge. How fast can you Lexigo?